Looking For Professional Mequon Movers? 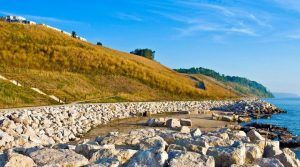 We offer Mequon movers located just north of Milwaukee on the western shores of Lake Michigan, the City of Mequon boasts magnificent lakeshore bluffs, expansive open space, stately homes, and lush farmlands. The community enjoys five golf courses, many parks, and the zigzagging Milwaukee River. Mequon is also a business-friendly community; it has two industrial parks with various mid-sized and small firms and accommodates over 300 businesses. Mequon enjoys all four seasons, which allows you to experience the magnificence that nature can create. 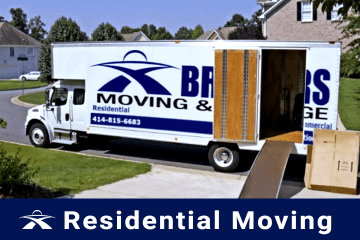 Whether you are moving from Oconomowoc to Pewaukee, River Hills to New Berlin, or West Bend to Mequon, Brothers Moving & Storage is the best moving service provider you can count on for a stress-free, smooth move to or from Mequon. Moving to or from Mequon involves several important decisions, and deciding which Mequon movers to choose for your move is probably the most important one. You can count on Brothers Moving & Storage for your residential movers, commercial movers, or labor only movers. As a professional moving company, we make sure that all of our movers are experienced and highly trained. This helps make certain that your belongings will arrive at your destination intact, and your move will proceed smoothly. We abide by the most stringent standards of the moving industry to make sure that we provide excellent customer service at all times. When it comes to residential moving, Brothers Moving & Storage is committed to providing a personal moving plan that suits the specific requirements and needs of all of its customers. We know that every household relocation is different. That’s why we provide a wide range of moving resources to offer you a personalized moving experience. Our household moving plan is designed with you in mind as is customized to fit your moving needs. Whether your interstate moving needs are small or large, Brothers Moving & Storage offers a variety of packing, moving, and storage services that you can choose from to create a moving solution that suits your needs. Our interstate moving and storage options include full-service packing, short-term and long-term storage, etc. As a full-service interstate mover, we can also help you with piano moving, fine art moving, disassemble/assembling, loading/unloading, and more interstate moving solutions. 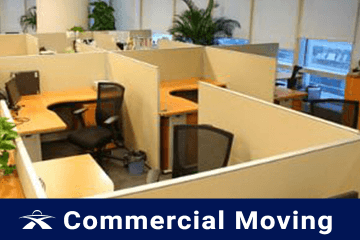 Brothers Moving & Storage has got you covered when it comes to commercial moving. From detailed moving plans to customized moving packages, we make sure that you have everything you need to make your move successful. 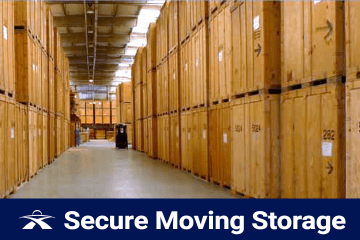 Since commercial moving involve a high level of sensitivity, we work hard to make sure that the entire moving process is handled with the utmost security and confidentiality. There are a number of reasons why Brothers Moving & Storage should be your first choice as a moving partner for your next relocation. We offer a friendly staff and professional service to make your move as stress-free as possible. Unlike our competitors, you will not be charged for extra items, stairs or elevators, we feel this is all a part of the moving process. We offer free blanket services to protect your valuables at no extra charge to you! Brothers Moving & Storage are your premier Mequon Movers! If this sounds like the local moving process you deserve, contact us today for your free estimate today. 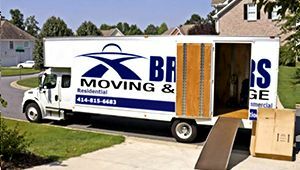 Brothers Moving and Storage has been providing great customer service along with quality moving services to anywhere in Mequon and the surrounding areas. If you are interested in a free moving estimate, please contact us at (414) 815-6683. Fun Fact: Mequon is home to the Johnathon Clark house from 1848, and is being turned into a museum. Mequon Movers	Overall rating:	4.8	out of 5 based on 20	reviews.